elevate their levels of safety, production and profitability. Northridge Electric provides clients with electrical control systems and industrial automation solutions. Our team of highly skilled electricians, system designers, and programmers is dedicated to providing you with solutions and products that are effective and efficient and will maximize the potential of your operation. Our capabilities include a vast range of products and services and are not limited to propane systems, dust collection, material handling and chemical processes. Established in a culture of superior service since 1997, the Northridge Team is well-versed in a wide range of machinery, equipment and control systems. Whether it be a service call, a design solution for a new LPG terminal or a dust collection control system installation, you can rely on our quality, expertise and dedication to deliver timely, unparalleled service. Service is at our core; we believe in professional service you can trust and depend on. Whether you require a custom electrical control system for your LPG terminal, material handling assembly, processing facility or any other type of operation, we can fully customize and develop a system which is ideal for your application and will give you the maximum return on your investment. We are committed and passionate about each and every control system we produce. For the past 15 years, Northridge Electric has continually served a wide range of large and small industrial clients in the oil and gas industry, propane, chemicals, wood, printing and many more. Our team is able to provide high quality, advanced hazardous locations wiring and installations for any factory or plant that is at risk of experiencing a fire due to the processing of flammable or explosive substances. Northridge Electric is more than just a provider of electrical control systems design and products. We have a qualified team of experts who are experienced, competent and capable of performing your installations and repairs. We will guarantee you the assurance and confidence that your operations are safe, secure and installed correctly. We are truly your single reliable source for all your electrical needs. This pre-built concept enables our customers to obtain the unlimited advantages of our superior systems regardless of the location in Ontario or North America they wish to set up a terminal. 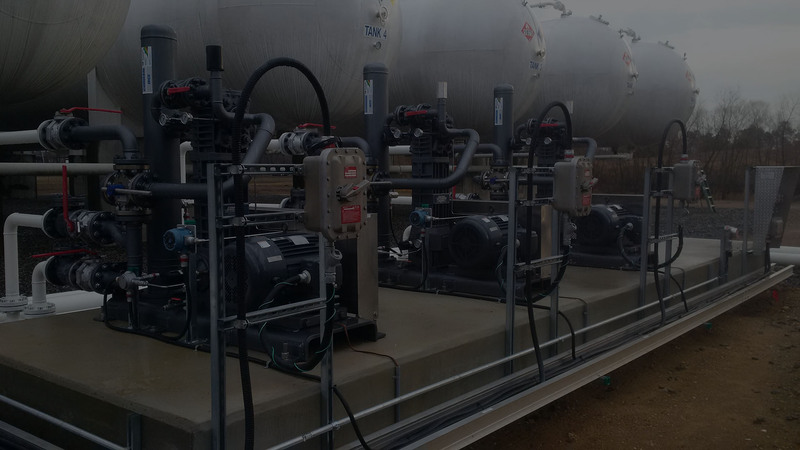 Each and every one of our systems are custom designed and engineered on a base platform which is entirely capable of including any propane terminal application we are presented with regardless of how simple or complex it is. 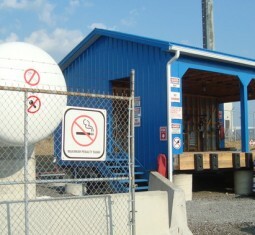 We offer propane rail car terminals, bulk propane storage plants, propane cylinder filling docks and installations. At Northridge Electric, we maintain a large inventory of explosion proof control components and equipment for Class 1, Division 1 locations. By keeping these items regularly in stock, it means less downtime for our clients in the event of a breakdown and provides a very quick turnaround response to rush installations. We are not merely a warehouse for explosionproof parts. Our knowledge and expertise in this area enables us to provide you with valuable advice on the right Class 1 Div 1 parts you require to keep your operations running smoothly. At Northridge Electric, we are always on the lookout for upgrades in forever changing industry procedures and are committed to keeping up with best practices and industry standards to provide our customers with the most technologically advanced electrical control systems. We are regularly upgrading our training and making improvements to existing designs. It is through this commitment to innovation and improvement that we are able to work with our industrial customers to provide systems with unsurpassed quality and performance. We are happy. Turnaround time was great and everything was done efficiently and professionally. We really did like the cable holders. Keeps things very clean under the tank. Many thanks to you and your team. The propane control system Northridge provided for our facility has been excellent. We had some operational issues when we first started the system but Northridge dealt with them in a very timely fashion and we are pleased to say the system has increased our efficiency and product output capabilities! I would gladly recommend Northridge to anyone for their outstanding products and services. In 2014/15 Wilson Fuel built a propane storage bulk plant in Moncton, New Brunswick and hired Northridge Electric to install all the control systems for the facility. It was our experience with Ken and his knowledgeable, conscientious team that they are top notch in their field. They delivered, on time, all of the specified work. I would not hesitate to recommend Northridge Electric Inc. to any company to do their electrical control systems. I would like to take this opportunity to recommend Northridge Electric Inc. for their control systems knowledge, design capability, and installation services. Bramwood Forest Inc is a supplier of high quality wholesale lumber products. We are dependent on the efficient operation of our equipment to be able to provide our customers with quality, competitive pricing and reliability. We were having numerous issues over the past few years with our original dust collection unloading system jamming up and stopping production for hours at a time. We approached Northridge for a solution. 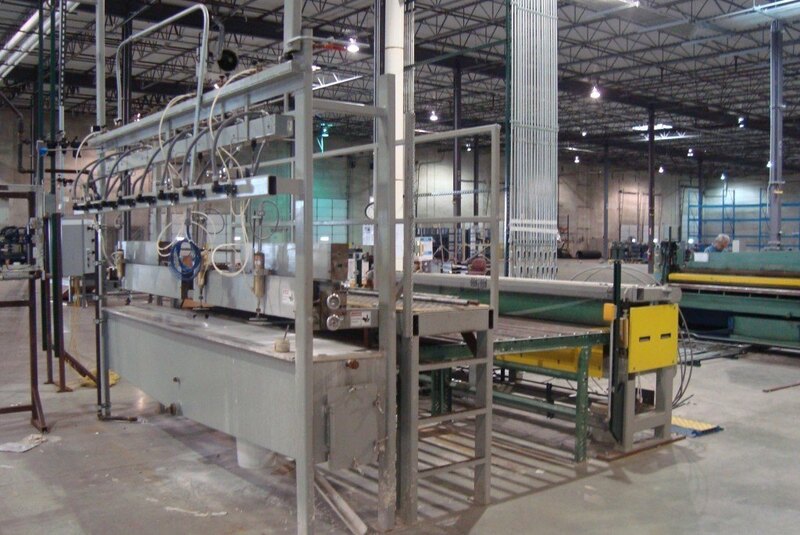 They were able to fully understand our process and designed, manufactured and retrofitted new control panels which integrated into the existing field wiring of the material handling system. The installation was performed in a professional, punctual manor and we are pleased to say we have had no production shutdowns due to dust collector/unloading system blockages since! It is my pleasure to recommend Northridge Electric Inc for their exceptional design solutions, control systems, installation and services which they provided for our new mid-stream propane terminals in Putnam, Ontario as well as a prefabricated system which they designed, built and shipped to our plant in Proctor, Minnesota. 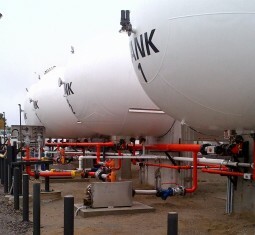 These terminals receive in-bound propane shipments by rail, which is stored and transferred to bulk tank trucks. Various aspects of the terminals are entirely interlocked including the rail rack, pump and valve controls, safety shut down systems, gas detection, CCTV, gas metering and authorized plant access, all of which are fully automated, networked and can be monitored offsite. At every step of the process, Northridge provided expert advice, prompt execution, and steady commitment. These terminal control systems are best in class and have contributed to the increased efficiency and profitability of our company. Throughout the years of working with my current employer, I have used several different electrical contractors across the province of Ontario. None were a match to the service and expertise that Northridge Electric has been able to offer, and continues to offer on a daily basis. They are my first “go to“ for any request – large or small – and are available to travel to any location we require. They always strive to meet my needs for scheduling/timing which is a huge plus to help provide the service we want for our customers. All their staff are superb and will help out on any level, whether it’s advice over the phone, or helping one of our technicians on site. Ken Wragge and his team were instrumental in helping us with our electrical layout, lighting and machinery onboarding during our plant move. They have obvious skills and experience that revolve around woodworking plants that has proven to be an invaluable resource when we require troubleshooting of machinery breakdowns ranging from shapers to wide belt sanding machines. 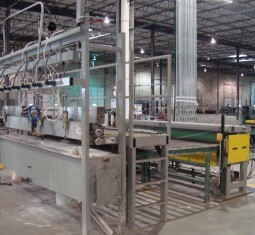 Production Engineering specializes in the design of industrial dust and fume control systems. Installations typically involve filter houses, fans and fire/explosion protection accessories. I have worked on installations for at least the past 15 years where Northridge has field wired the electrical components. Their knowledge and expertise relating to this equipment is unsurpassed. We were introduced to Northridge Electric several years ago when we were looking for an electrical contractor, experienced with propane transfer systems. 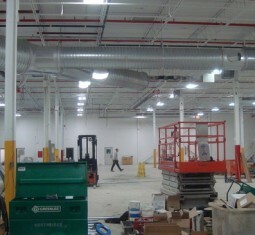 While we were only looking for a contractor to help us in the GTA, we soon found out that their expertise was available throughout the province and not only encompassed simple motor / meter connections but also electronic gas detection, nitrogen actuated e stop systems, zone controls, step up transformers and continuous support to our industrial technicians. Their ability to understand our needs from simple sketches has helped us develop effective ways to provide user friendly load and unload activities at our transfer facilities while meeting all current regulations. No matter what question is asked, Ken and his team go out of their way to find the answer. Northridge Electric and its employees understand what customer service means and deliver each and every time. We have been very impressed with the quality of work provided by Ken at Northridge Electric. Ken has a consultative approach to understanding our specialty needs and translating them into an electrical plan. He is always prompt, professional and meticulous in his work. We were very happy with Northridge Electric and will continue to utilize their services for all our future electrical needs! As a cooling tower contractor with 24 hour emergency service we are using Northridge Electric for all our electrical and controls needs. Their response is always prompt and the work quality is excellent. Northridge Electric Inc., under the leadership, technical expertise, experience and work ethics of Master Electrician, Ken Wragge, always find the most efficient way to troubleshoot, correct deficiencies as well as new designs and installations. I am happy with the company professionalism, service and support they provide. We wanted to thank Ken Wragge and his team for the great work they performed on our propane plant expansion. Northridge Electric met our timelines and completed the work in a professional and efficient manner. Electrical Safety Authority had no concerns with the work performed. The work was neat and the worksite was clean throughout the process. Ken was very easy to work with from the initial site visit to completion of the project. Our thanks to Northridge Electric for a job well done. Part of our company structure at ELS provides Life Safety Equipment service and installations. Northridge Electric Inc. has been one of our most long term and valuable electrical contractors for over 12 years. We have found them to be extremely capable, dependable, and most importantly, trustworthy. The quality of their workmanship and professional ethics allow for ELS to continue to utilize their services with the utmost confidence. They represent our company when on our job sites, and we never have to consider that our standards are being upheld.